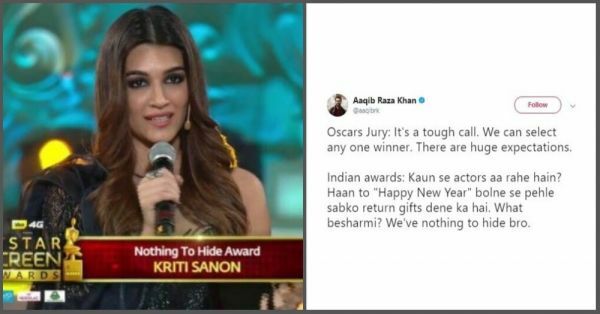 What Even Is The 'Nothing To Hide' Award That Kriti Sanon And Shahid Kapoor Just Won? Don’t you wish that every time you replaced the cold water bottles in the fridge in the summer without your mom yelling at you, or every time that you remember to separate your white clothes and your coloured clothes before dumping them together in the washing machine - you’d get an award for it? Maybe a small recognition medal for how great you’re doing in life, and how much adulting you’re getting done without totally collapsing with the pressure of responsibilities? Yeah, me too. Well, guess who’s getting awards these days for “hiding nothing”? Your favourite celebrities! The awards night, that was aired on New Year’s Eve, was recorded in early December, and both Shahid and Kriti looked quite pleased to receive their awards. While Kriti dedicated the award to her fans, Shahid called it ‘cool’, and we couldn’t help wonder if he was secretly chuckling to himself for having received such a terrific honour, from the beloved judges at the Star Screen Awards. How else do you explain the ridiculous categories that are added, like the very highest ‘Nothing To Hide Award’?! According to a report by Hindustan Times, the awards went to the celebrities who “shared the ‘ups and downs’ of their careers and private lives ‘honestly’ with their fans on social media”. Also what I’d like to call: ‘we are obviously going to get all the likes and shares on social media, because we are celebrities, so we might as well post every single damn thing happening in our lives so that people can relish their stalking skills with glee’. And here I get yelled at for posting the 126th picture of adorable little golden retriever puppy on Instagram because “it’s too much” and “you don’t have to be so needy for attention”. Oh cruel, selfish world. Meanwhile, Twitter wasn’t too forgiving of the new category of the Star Screen Awards either. 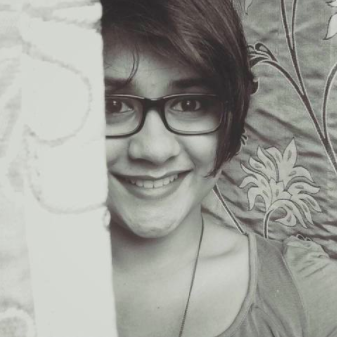 ‘Savage’ doesn’t even come close to describe what the hilarious Twitterati thought of the ‘Nothing To Hide’ Award! Are you just giving an award for attendance?? BRB, just getting ready for my ‘Washed Three Pairs of Socks And Didn’t Mysteriously Lose Any Of Them In The Washing Machine’ award ceremony.